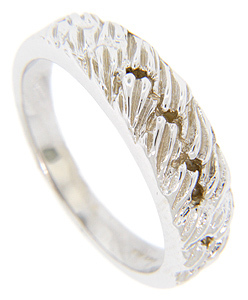 Flowing ridges ornament the top of this 14K white gold modern men’s wedding band. 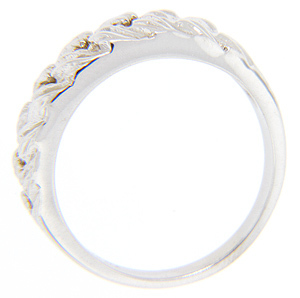 At its widest point at the top, the ring measures 6.7mm in width. Size: 10 1/4. We can re-size. The ring can be purchased in 18K, yellow gold, platinum and palladium. Cost will depend on the current market value of the precious metal used.